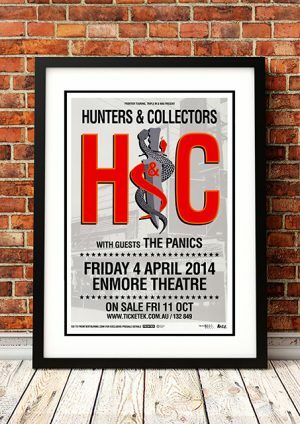 Classic The Panics Band Concert Posters and Memorabilia! Buy Online Now! An Australian rock band that was formed while its members were still in school, the Panics released their first EP (a self-titled affair) in 2002. Two more EP releases followed before the band was invited to perform in the U.K. that same year. Signed to LittleBIGMAN Records, the Panics (Julian Douglas, keyboards, guitars, and vocals; Jae Laffer, vocals and guitar; Paul Otway, bass; Drew Wooten, guitar; and Myles Wooten, drums) recorded their debut album in Manchester and Australia. The ensuing work, A House on a Street in a Town I’m From, was released in 2003. After extensive national touring, the band embarked on another tour of the U.K. in 2004. Upon returning to Australia, they relocated to Melbourne and released their second album, Sleeps Like a Curse. 2007 saw the band sign to new label, Dew Process, and release their third album, Cruel Guards, which was a Top 20 hit in their home country. 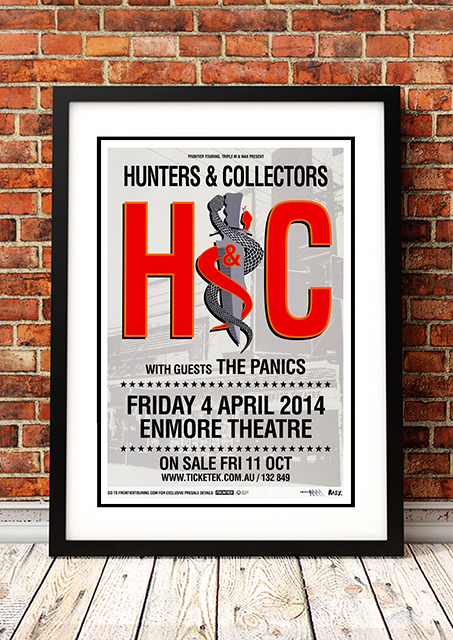 We stock some awesome The Panics Band Concert Posters.